Why does it say “email already in use” when I try to create my account? This means that there is already an account setup with this email address. 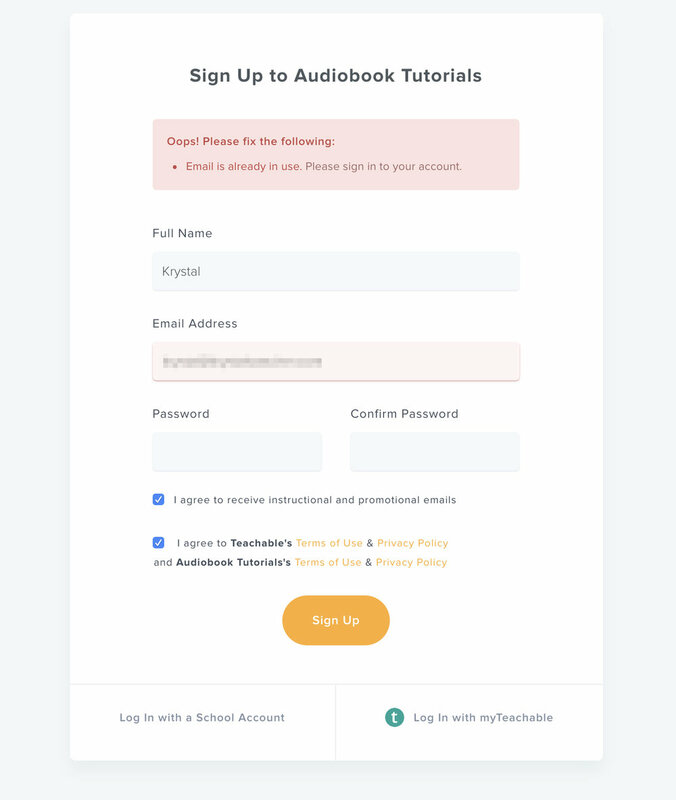 Many people create an account to access my free courses and forget that that already have an account when they purchase a paid course and are prompted to log in for the first time. If you cannot remember the password that you used to set up your account, follow the instructions here to reset your password. If you believe that an account was created with your email address in error (by someone other than you) please send an email to help@krystalwascher.com to have the account deleted.